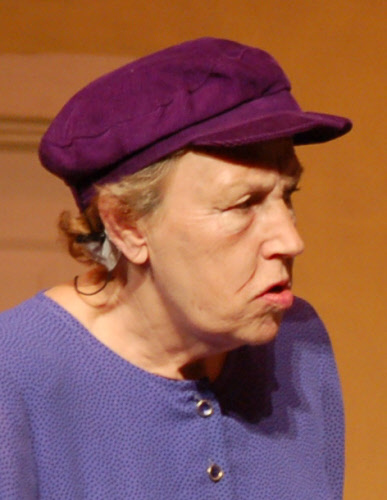 "... a really excellent piece, beautifully executed ... a wonderful evening's entertainment." "A new show, how lovely! ... enjoyed by audience and cast alike." "What a great show it was to put together; it was tough, but our audiences absolutely loved it, as did all of the cast and crew involved in the production"
Although a professional composer, Christopher Wortley has had a long involvement with amateur musical societies and realised that there were very few musicals that satisfy all the casting needs of these groups; so he set about writing one. In ‘Act Your Age’ there is work for a large chorus and there are 22 named parts, the majority of which are for women aged from 25 to 50 to over 70. The music is written to entertain, with satisfying tunes and harmonies (including a G&S-style ‘patter song’), and the book was written with the help and support of Brian Clemens which has resulted in a traditional heart-warming farce with people popping in and out of doors … astonished people, embarrassed people, and some older folk who are trying to look like super celebrities! Celebrity Sanctuary is a clinic that offers rest, relaxation and therapy for celebrities. It has however, fallen on hard times and has amassed debts, but lost patients and staff, and now there are just two of each. Valerie, the owner, receives a call from “Victoria’s agent”, and naturally assumes that this is the A-list celebrity in need of some rest and recuperation. She will check in as ‘Mrs Smith’, and the agent stipulates no publicity and a professional, well-run establishment. Valerie, and Pat, her faithful aide-de-camp, are delighted of course, but this quickly turns to concern as they realise that they cannot now provide all the facilities that are expected. (Song : 'Sod's Law'). Meanwhile, at the old people’s home down the road, a bungling workman has dug up the road and left the home without power or water, and the toilets are backing up! Mrs Hewitt decides to take her ‘inmates’ to the clinic while she finds temporary accommodation and marches them all in, to Valerie’s astonishment. (Song : 'Sunny Seniors Are Us'). The old folk are a mixed bag in age and ability (mental and physical) but despite Mrs Hewitt's strict nature (Song : 'A Tight Ship'), all of them read ‘Hello’ magazine and are quite star-struck. Seizing her opportunity, Valerie easily persuades the old folk to masquerade as staff and patients, joining the two ‘proper’ patients, Melanie (a D-list celebrity) and Angela (a middle-aged nymphomaniac), in return for the possibility of meeting ‘Victoria’ and her friends. (Song : 'Count On Us'). ‘Mrs Smith’ duly arrives, heavily disguised, but the person underneath is Jenny, who ran away from home as a teenager. (Song : 'For Once In My Life'). She is soon to be married, and wants to observe her mother again before revealing herself. She has been tipped off that her mother (Valerie) now works at the clinic. Then a succession of furtive people check in as patients and are assumed to be friends of ‘Victoria’ - a reporter with his photographer; Angela’s latest beau, Mario; and Jenny’s fiancé who suspects her of infidelity. (Song : 'Ever So Discreet'). The new ‘staff’ must take over the daily routines and administer the various designer therapies, resulting in the situation where amateurs are ministering to people they take to be celebrities, and ‘celebrities’ who are nothing of the kind and don’t want to be unmasked. despite the chaotic nature of the arrangment, Valerie is hopeful that her luck has turned for the better. (Song : 'This Could Be The Time'). The workman strikes again when he resumes digging leaving the therapy annexe uninhabitable, so some bizarre alternatives to the usual massage, sauna and other therapies are developed and these take place in make-shift rooms with make-shift equipment. As night falls, classic farce (but set to music as Song : 'You Haven't Seen Me'). descends in a room with three doors - Mrs Smith is creeping about looking for childhood memorabilia; Angela and Mario are creeping about looking for one another; John is looking for Jenny, and the reporter and the photographer are looking for a scoop (Song : 'You've Been Papped'). The first Act closes with Pat dreamily wishing for a star-studded future. (Song : 'I Want To Be A Celebrity'). In the morning, with the new 'therapies' in full swing, (Song : 'The Sing-a-long Therapy Thing'), there is a more traditional farce as patients and ‘therapists’ pop in and out of the make-shift therapy rooms in a succession of complicated manoeuvres, narrowly avoiding revealing their ‘naked’ forms to the audience (this is carefully scripted with helpful rehearsal diagrams). Everything comes to a head in the Finale : when happy endings and plot resolutions abound - all coming thick and fast. Your mature members will love this marvellous musical as many of them can step back out of the chorus and become principals again. See also the author's own 'Act Your Age' website. Chorus of Old Folk, Police, etc. In addition to viewing online the script and vocal score above, you can download a shortened copy of the script/libretto to read and get a relatively good picture of whether you would like to proceed to the next step. This Preview E-Script is made available to you as a pdf file sized for A4 paper and contains just over half of the script/libretto. This contains the script and piano vocal score for your cast and crew provided as A4 pdf files. 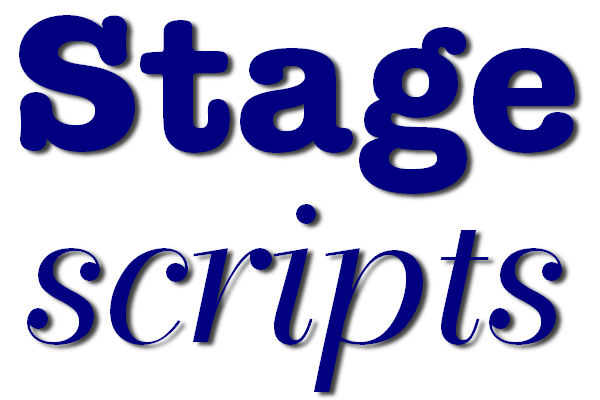 We also provide an expanded version of the script for your Director giving additional assistance on such topics as characterisation; auditions/casting; how to rehearse a farce sets, costumes, props etc. No problem about possible loss of deposit, as the scripts and vocal scores are yours to print out and mark up as required. The price includes a multiple copying licence allowing you to make multiple prints of the pdf's on the Data CD for your production company to organise and provide to your cast or crew. Alternatively you can give (or sell) the cast files to your cast and crew for them to print, bind and use. Please note that we do not sell individual printed copies of libretti, nor do we hire sets of printed rehearsal libretti or vocal scores. A Double Audio CD (one for Principals, one for the Chorus and minor parts) contain rehearsal tracks only, with a piano part on one stereo channel and the part to be learnt (the melody) on the other. Altering the setting of the stereo balance control will adjust how much of a helping hand is provided whilst learning the part. These are available for a 3 piece band as below, for hire to production companies only, who hold a valid, unexpired, licence to perform. The MD's Full Score and the Instrument Parts are available separately. Royalties for this title are 'Variable Fee, post paid', and will be calculated on a percentage of your box office income once your production has finished. See our pricing policy for details. We work on a quotation system for royalties, based on information you supply to us. Complete a printed application form or, create account with us, and use the online version.